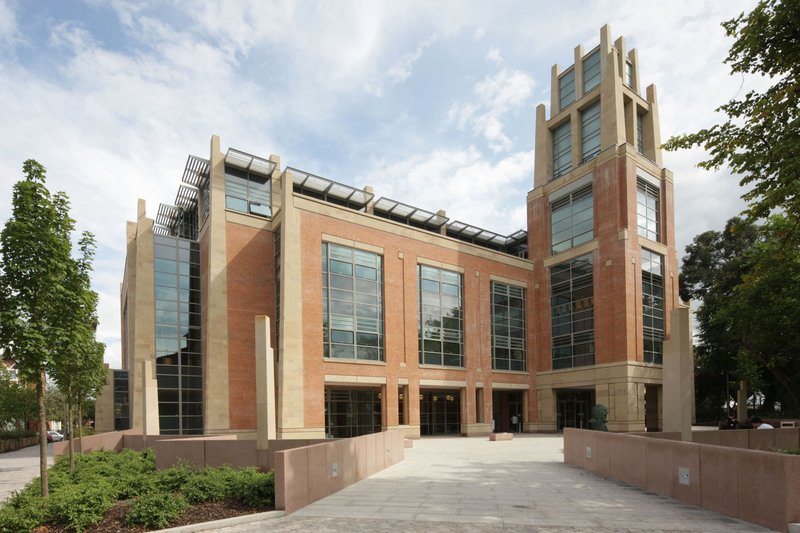 The McClay Library at Queen’s University Belfast has won a UK-wide award for its architectural design and facilities. The Society of College, National and University Libraries (SCONUL) Award is presented every three years to a UK library that best meets the needs of users and staff. The library opened in 2009 and attracts 10,000 users every day. It is named after the late businessman, Sir Allen McClay. Sir Allen, the founder of the pharmaceutical company Almac, died in 2010. He was one of the university’s greatest benefactors. The £50m library was the most significant building project at Queen’s since the construction of the iconic red-brick Lanyon building in 1849. A major enhancement project has just been completed. It is joint-winner of the SCONUL award with the Augustine House Library and Student Services at Canterbury Christ Church University in Kent. The McClay Library has 2,200 reader spaces and houses 1.2 million volumes. Illuminated by a multi-storey open atrium, the building includes IT training rooms, a language centre, library and computer support areas and a café, alongside the university’s special collections and the CS Lewis Reading Room, which is accessed through a hand-carved “wardrobe” door. The McClay Library has transformed the university's library service and more than doubled student usage. Students visit more often, stay longer and satisfaction levels have increased. Providing access to knowledge is vital but is only one part of what an academic library does. Libraries are at the heart of their institutions and one of their most important functions is the provision of a place and atmosphere for learning. Our winning libraries offer a blueprint for how libraries can transform learning.